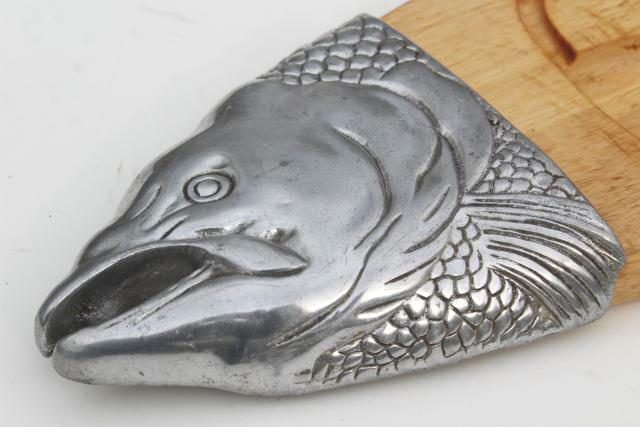 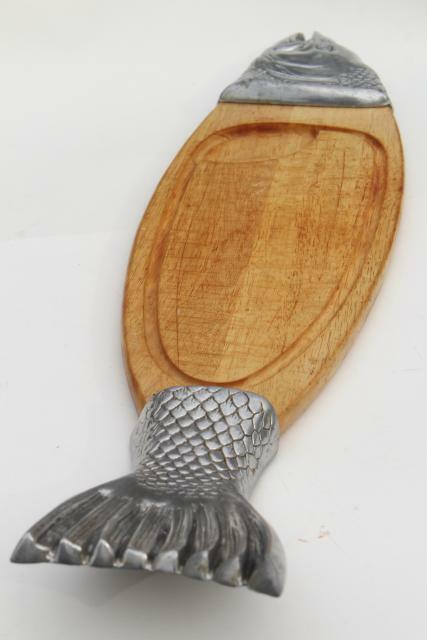 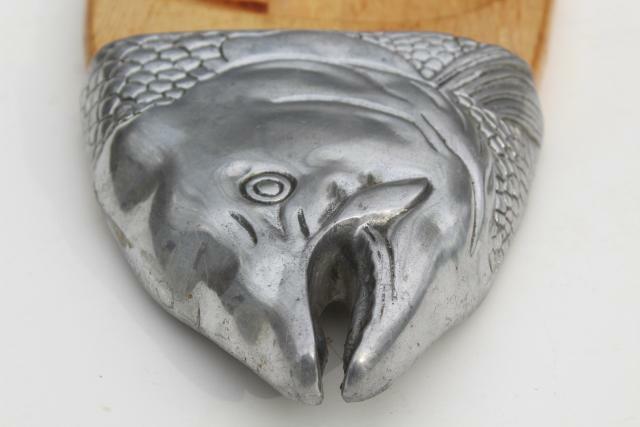 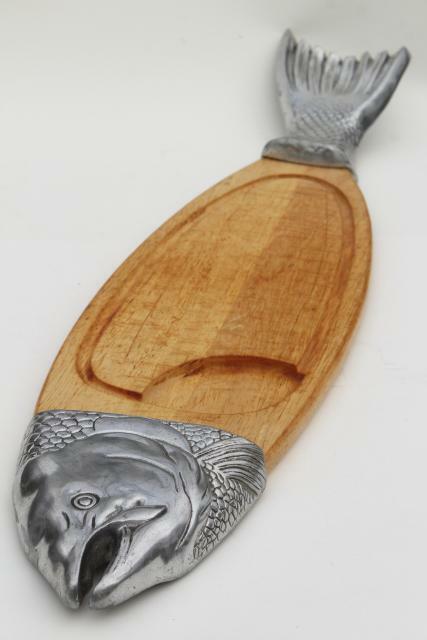 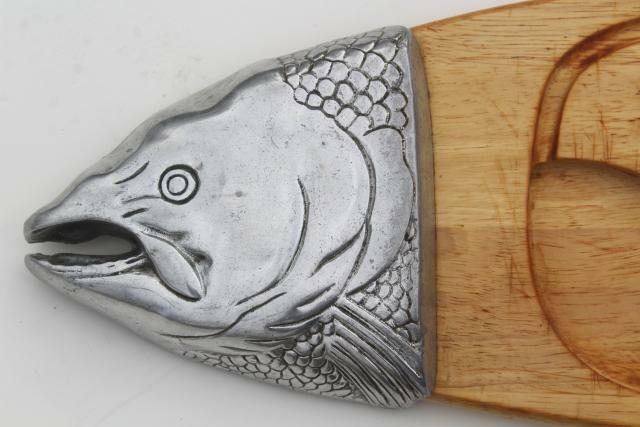 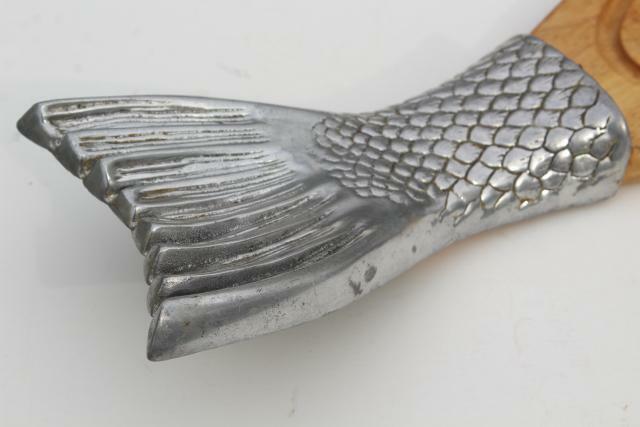 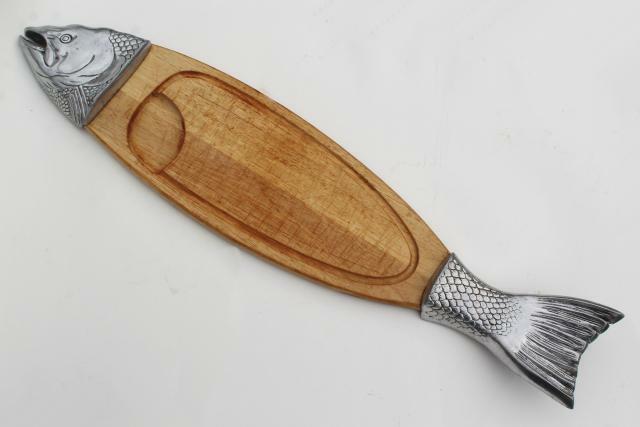 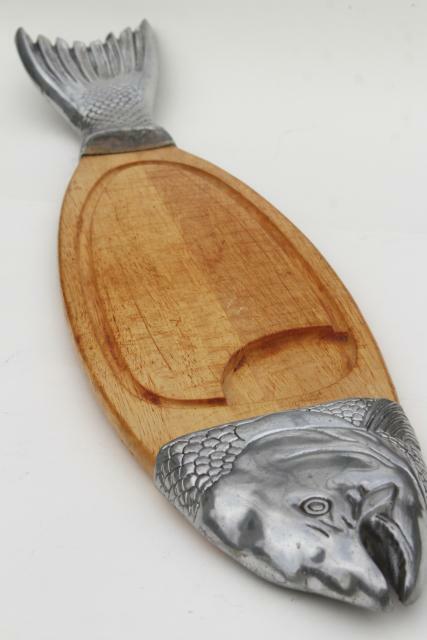 Wouldn't your smoked fish look fantastic on this vintage fish board? 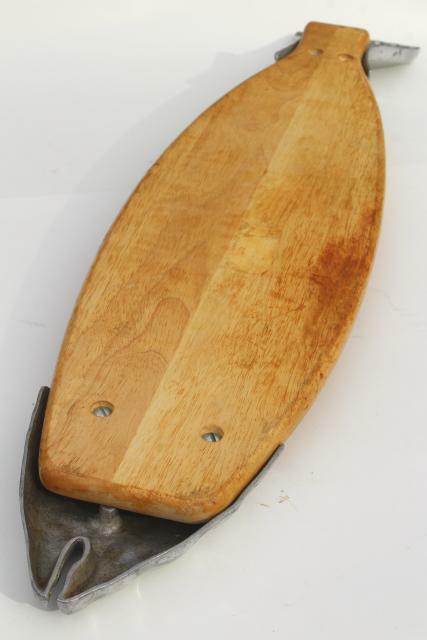 We couldn't find a marking on this, though we'd guess it's Arthur Court, 1980s. 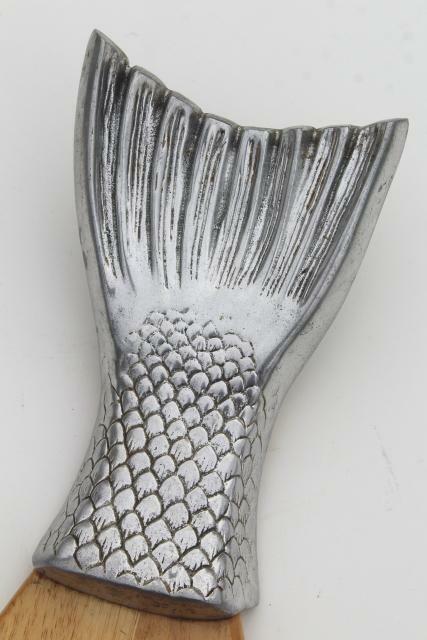 This measures 36" long from end to end of the cast aluminum fish head and tail. 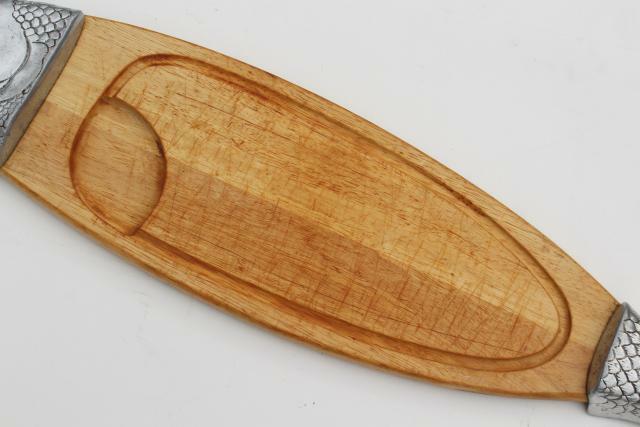 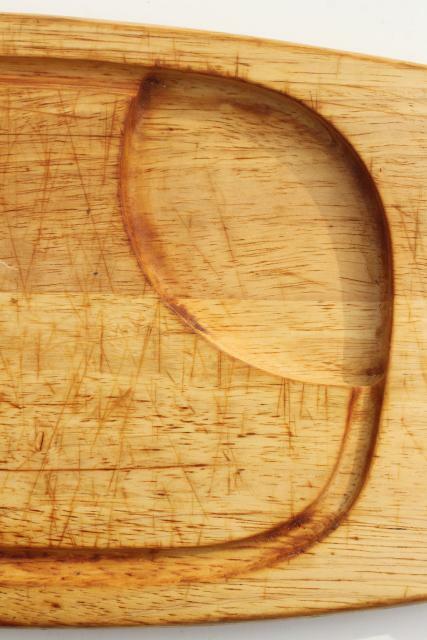 The wood board is worn and scratched, but seems to be odor free and clean though stained.